"I see the CLI as an opportunity for mutual understanding," said ITER Director-General Kaname Ikeda at last Monday's inauguration of the Local Commission for Information. Every time a nuclear installation is created, French law requires that a Local Commission for Information (CLI) be established. The mission of a CLI is to act as an interface between the installation's operator and the local population. An independent body, it is composed of representatives from local government, environmental groups, trade unions, businesses and health professionals. All are appointed by the President of the Conseil Général (the Department's executive assembly). Anything that the public feels it should know falls under the jurisdiction of the CLI. A CLI can request from the Operator any documents deemed necessary, or call on independent laboratories to proceed with environmental and health investigations. The CLI must be consulted on any new project undertaken in the scope of the installation's evolution. CLIs are financed equally by the French Nuclear Safety Agency (ASN) and the local governments. On Monday last week, 32 out the 42 members of the ITER CLI gathered at the Château de Cadarache for the Commission's formal inauguration. "We are eager to establish with you a trusting and transparent relationship," said ITER Director-General Kaname Ikeda in his welcoming address. "I see the CLI as an opportunity for mutual understanding, a place where any question can be asked and all answers will be provided." Following DG Ikeda's presentation—in French—Laurent Roy, the ASN Territorial Delegate, stressed the importance of the CLIs as the expression of "the right of citizens to freely access information that is dependable." 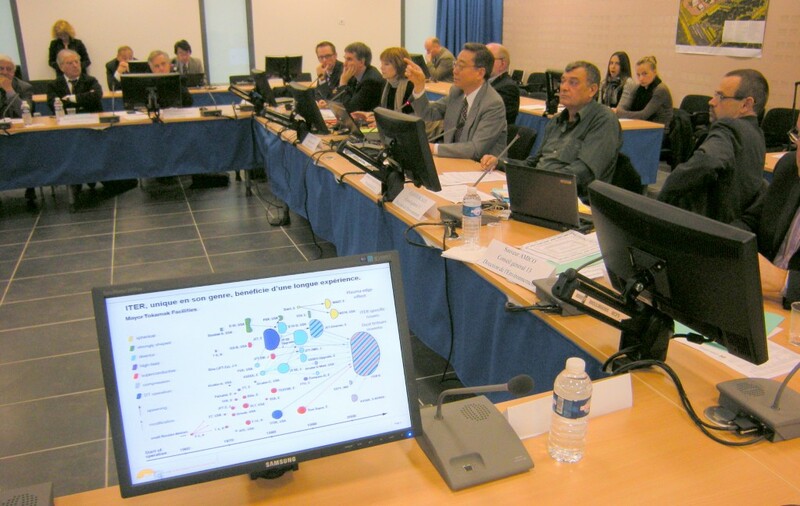 The ITER CLI, to which Robert Pizot, the Mayor of Saint-Paul-lez-Durance, has been appointed President, will convene again on 24 February 2010 to form an Executive Board and decide on a work program for the coming year.